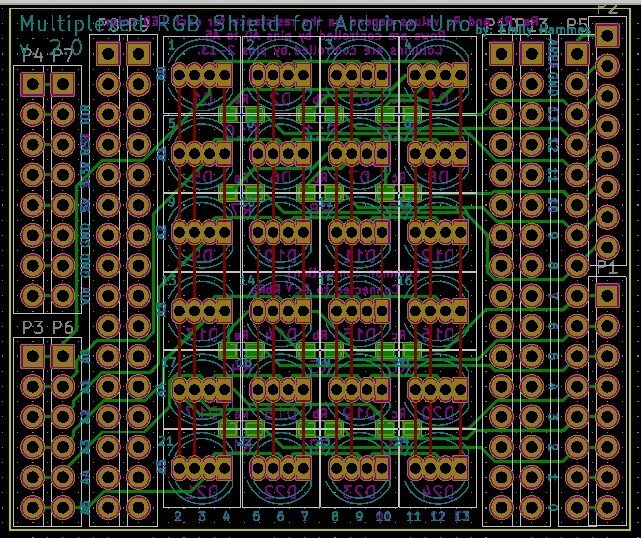 The Multiplexed RGB Shield contains 24 RGB LEDs in a 4x6 matrix and plugs into an Arduino Uno. 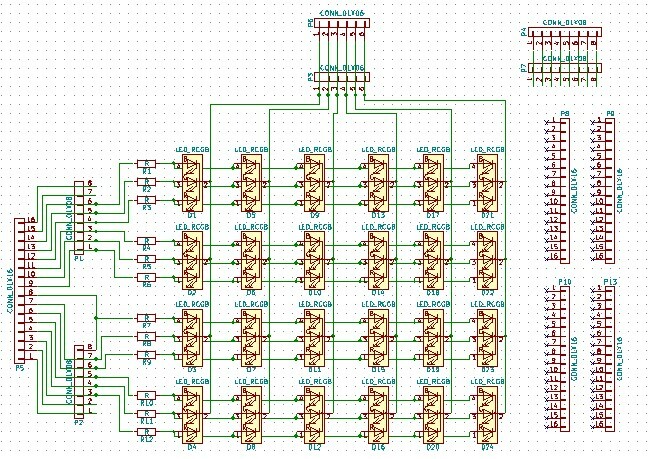 By controlling the state of the pins all LEDs can be individually turned on or off and their colors can be controlled. Solder 1 side of each of the LEDs, making sure that the flat side of the LED matches the flat side on the silkscreen. I usually do the Square pin first. Once aligned, solder the other pins on the LEDs. Glue all sides of the case together except the one with the connector for the Arduino (the one with hammes hacks engraved in it). Slide the shield and Arduino into the case. Place transparent plastic between the Arduino shield and the top of the case.